If a pan on a stove gets hot enough, you can see something quite strange. Normally, pouring a few drops of water onto a hot pan results in the water fizzling into steam, disappearing within seconds. But on a pan that is very hot, the water in fact coalesces in to shapes of smooth marbles, which skitter across the pan like they are dancing. Try it! This surprising phenomenon is called the Leidenfrost effect and has a simple explanation. If a surface is hot enough, the lower part of the liquid that touches it vaporises so quickly that it forms a layer between the pan and the rest of the liquid. This layer actually acts as an insulator, across which the water can skitter without immediately evaporating, protected from the heat of the pan. 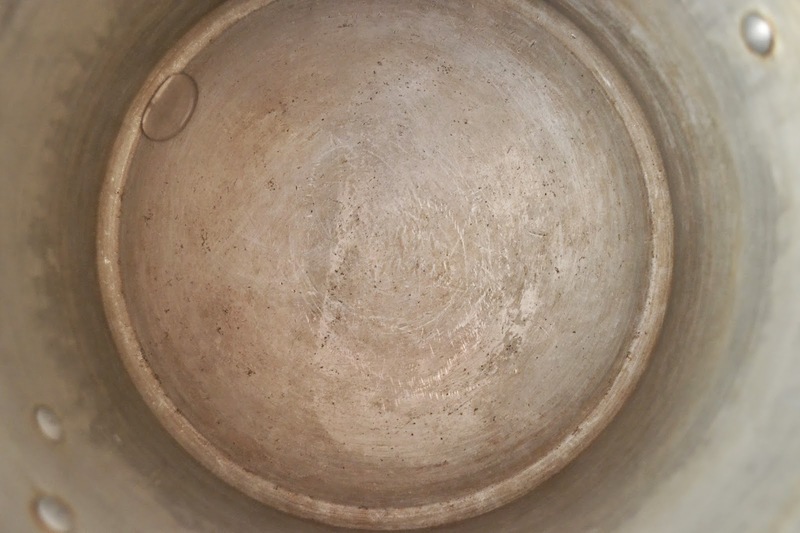 The exact temperature at which this phenomenon starts to take place depends on many factors, but for water on a pan, the pan's surface temperature is likely to be at around 200 degrees celsius.